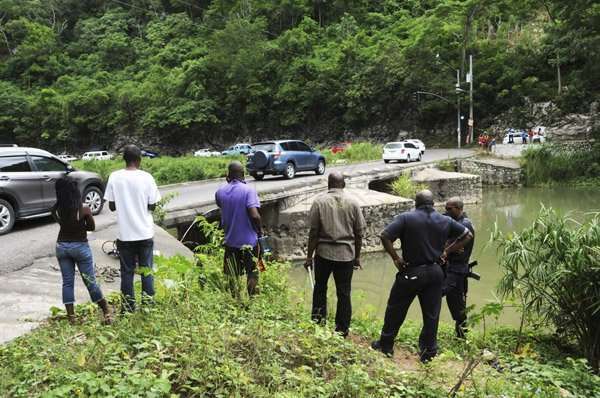 The driver of the motor vehicle which plunged into the Rio Cobre on Saturday killing six people is to face multiple criminal charges. Head of the Police Traffic Division, Senior Superintendent Calvin Allen, says the driver, whose given name is El Frego Slew, will be charged with six counts of manslaughter. SSP Allen says Slew is facing additional criminal charges because he does not have a drivers license. Reports are that about 1:00 on Saturday morning, Slew and seven others were travelling towards Bog Walk in a Suzuki Grand Vitara motorcar. It’s understood that the Slew lost control of vehicle and it ran off the road into the Rio Cobre. Dead are Stephen Ricketts, Benjamin Ellis, Shaveon Ricketts, Shujay Ricketts and Shantel Morris and Oneil Robinson all of Commodore district in Linstead, St. Catherine. Slew and one other person survived the accident. Concerns have been raised by the National Road Safety Council, NRSC, regarding the safety of the Flat Bridge where the accident took place. SSP Allen says the bridge did not contribute to the accident. He says a team from the NWA will visit the bridge to do a proper assessment of the zone.